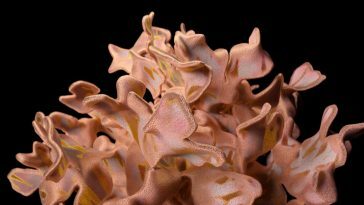 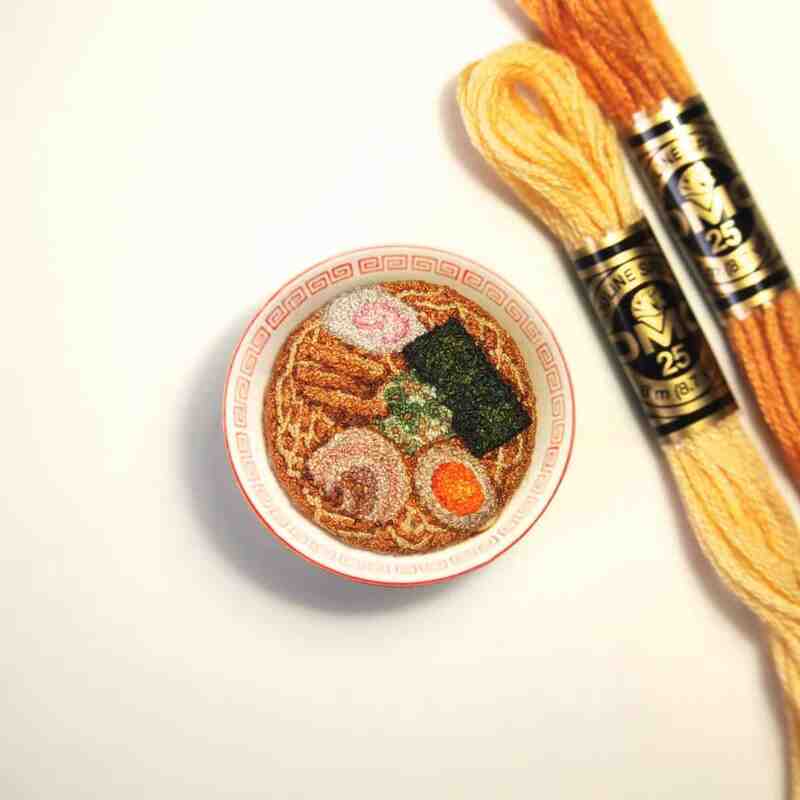 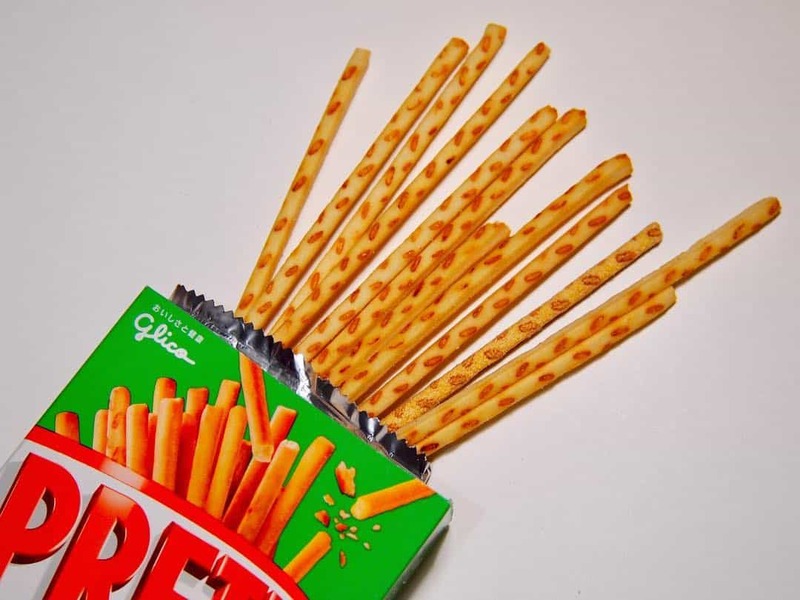 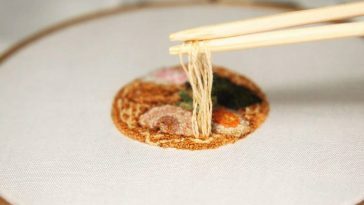 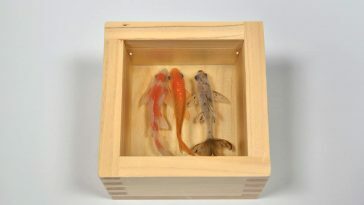 Japanese embroidery artist Ipnot creates bits of food and drinks that seem to leap off of the fabric and into existence. 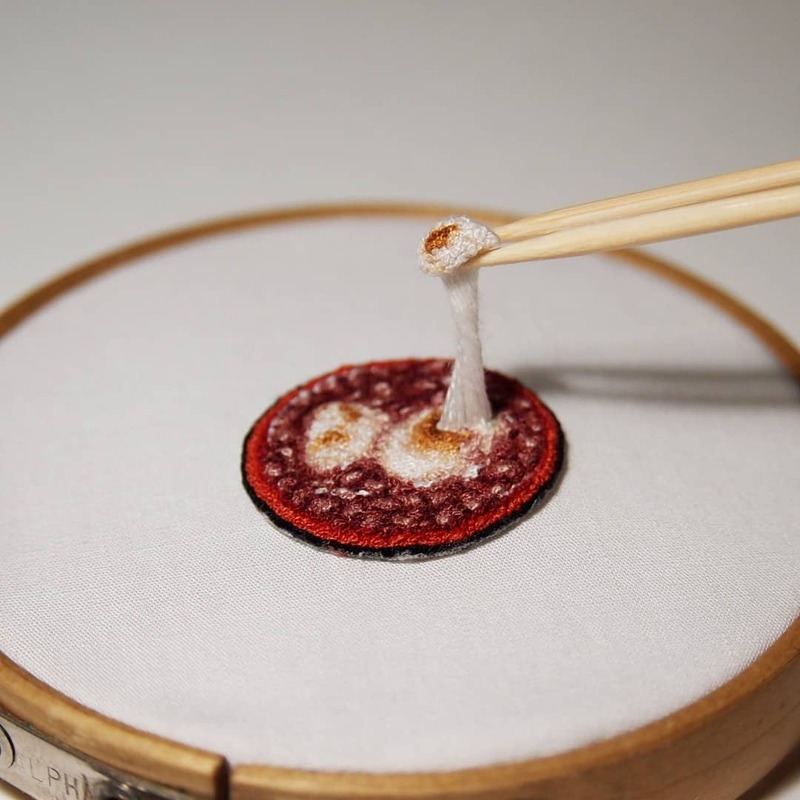 Ipnot enhances the desire of her embroideries by staging them using their real-life inspirations and surroundings, like heaps of rice in a bowl, and pieces of stollen crumbling off a small fork. 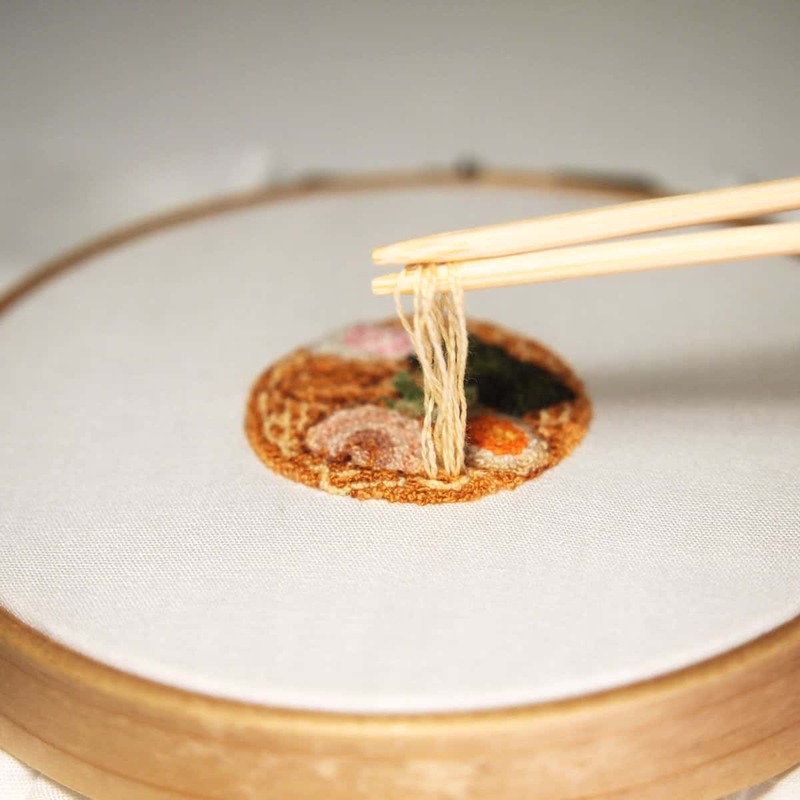 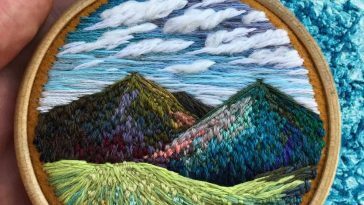 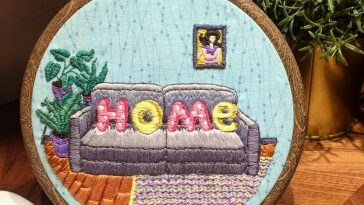 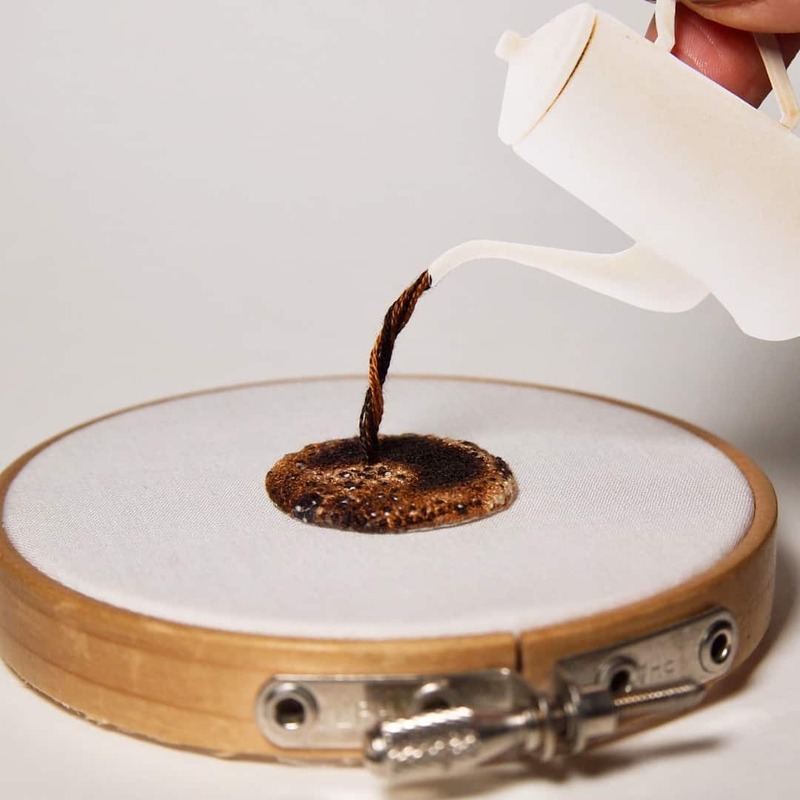 Ipnot shares her website that her grandmother’s embroidery practice inspired her to begin, and she utilizes the thread and needle similarly to the painting technique of stippling. 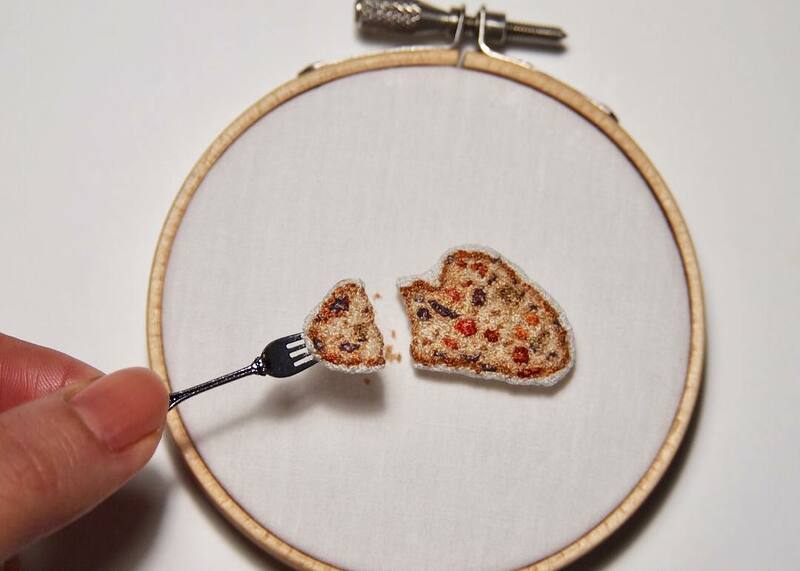 You can view more of this artist’s delicate embroideries on Instagram.